Here’s how to get the most out of retail apps, while avoiding the downsides. 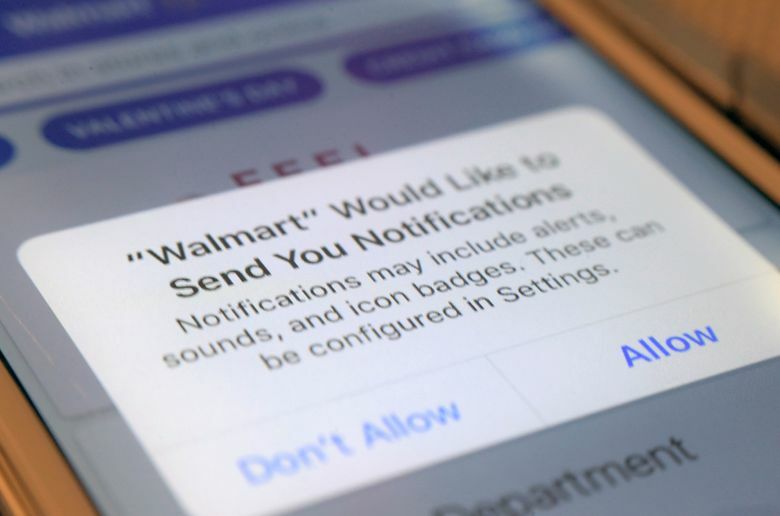 Push notifications — alerts that pop up on your phone — and emails tend to “catch people at vulnerable moments,” enticing them to spend money on things they otherwise wouldn’t, said Marshal Cohen, chief industry analyst at the NPD Group, a market research company. Data show that 9.6 times more users make a purchase when an app sends a promotional push notification compared with those who didn’t receive one, according to Leanplum, a mobile marketing platform. Notifications also increase the amount an average shopper spends 16 percent. A quick fix: Turn off notifications in the app or your device’s settings and opt out of retailers’ emails if they’re too tempting to resist overspending. Take inventory and make a list of what you need. Shopping lists can deter impulse purchases by keeping specific merchandise top-of-mind. Most retailer apps make it easy to view and edit lists on your device. For example, the app for Kohl’s enables shoppers to set a budget , and then automatically deducts the price of each item on the list. Other merchants, like The Home Depot, include maps or aisle numbers to help customers track down products on their lists at local stores. Although storing shipping and billing information speeds up the checkout process, it can also smooth the way for frivolous purchases. Researchers have found that compared with cash, behind-the-scenes payment methods make shoppers feel detached from their money — and more likely to spend. “Now with technologies where you can just use your fingerprint, or you just take a photo of your credit card, it makes payment incredibly simple,” Taylor said. Instead, enter payment information each time, rather than saving credit card numbers or linking to a PayPal account. The extra step makes the exchange of money feel more real. At the very least, “take a breath before tapping ‘checkout’ to make sure that your purchase is as much about you really needing that item versus the fact that the shopping experience has become more entertaining and has become very easy,” Taylor said. Use the camera feature within apps to read product details and customer reviews. “It allows you to have a greater usage of knowledge of what those products you’re purchasing can do,” Cohen said. Some apps surface product information when an item’s bar code is scanned with the camera. Beauty retailer Sephora’s app incorporates augmented reality, which allows shoppers to virtually try on makeup products and colors as they look into their device’s camera. As well, cameras can summon savings: Snap a picture of your receipt in Walmart’s app, and its Savings Catcher tool will match a competitor’s lower advertised price — even after your purchase. Walmart refunds the difference on an electronic gift card. Target’s app checks for manufacturer coupons and in-store deals on scanned items. 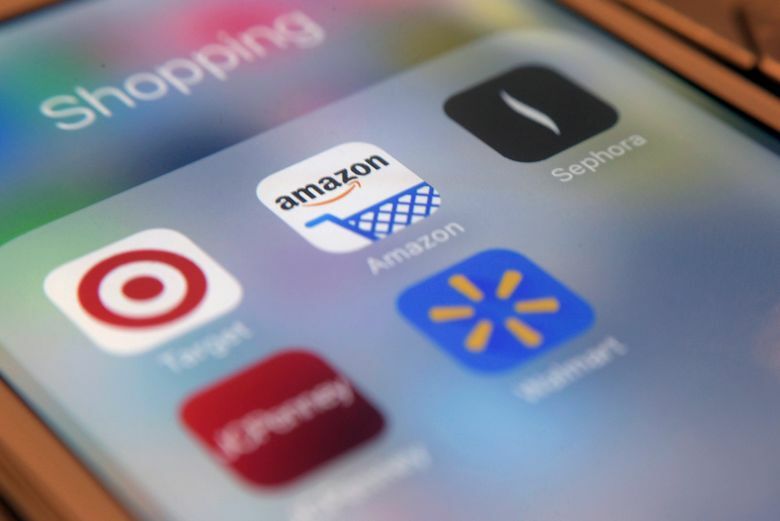 Through exclusive offers and built-in loyalty programs, “individual retailers’ shopping apps intend to lock-in shoppers,” Jie Zhang, professor of marketing at the University of Maryland’s Robert H. Smith School of Business, said in an email. For example, the wallet feature on the J.C. Penney app lets shoppers see and redeem rewards, coupons and gift cards in one place. But using only one retailer’s app could mean missing out on opportunities to save money. “Yeah, there might be a 20 percent-off sale, but it could be really easy to go get 35 percent off somewhere else for the same exact product,” Cohen said. Use a price comparison tool, like ShopSavvy or Google Shopping, to locate the best price across multiple merchants.